PhoneArena writers weigh in on the new Moto G4 line-up announced this week. 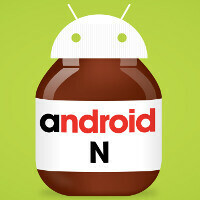 As a whole, we're intrigued by the new Moto Gs. Individually, there's some variation to the level of excitement among us. Here come the most honest opinions in the universe! Photo bombed! Where's Michael Heller in the video? 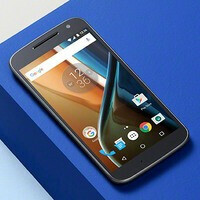 Ray S. - I like the new Moto G4/ Plus because they have clean and fast android experience' Have you got the units already or you're just talking off from your (you know where) ? The last thing a review should do is make up a mind or perception of a phone even before seeing or testing in real life. It'll only lead to biasness. PS. Seems like Nick was sleeping and someone just woke'em up for the video. Any information on "moto x force 2 "
We want " moto x force 2" with Qualcomm snapdragon 820, SUPER AMOLED display, 3750 mah battery, and upgraded shatter proof. The old Moto G (2015) looked better than these things I think. The Moto G 2015 even looks better than X Pure 2015 and X Play in my opinion. The colour choices in Moto Maker are the best too. Nick has a good point about the lack of curve. Personally I don't like using phones with a flat back as it feels awkward to hold. Rub it in, Chris, rub it in.